These Fiat 500 Premium Mats with Twin Fixings are a great addition to any Fiat 500, they allow protection to the Fiat 500's foot wells, as well as adding style. The Fiat 500 logo is embroidered into the driver's and front passenger's mats only, adding a personalised touch to your Fiat 500. The Latest Models of the Fiat 500 Vehicles are now supplied with Two Fixings in the driver's side foot well and passenger foot well. The Twin Fixings featured on the driver and passenger help secure the Fiat 500 Premium Floor Mats and stops the mats from sliding around. Why Buy Genuine Fiat 500 Mats? Will these Mats fit my Fiat 500? 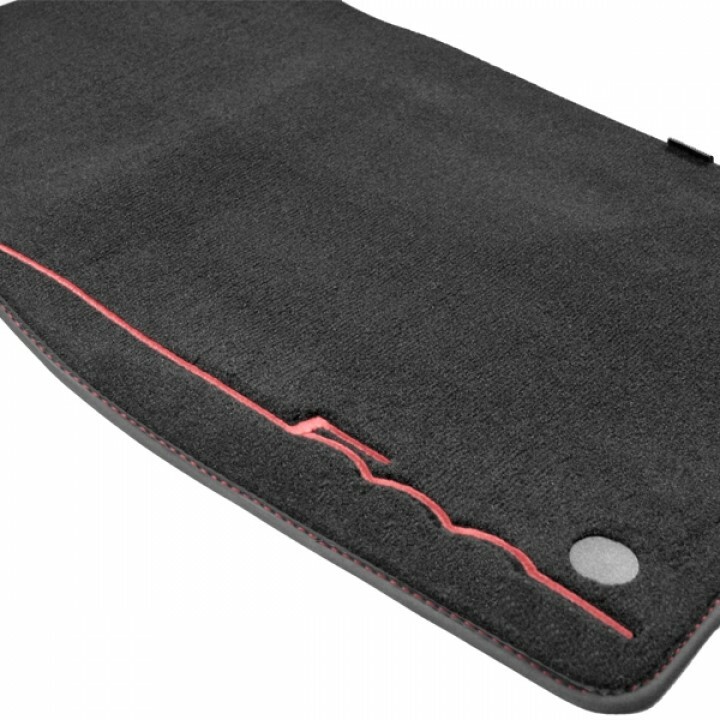 These Mats are suitable for Fiat 500 2012 Onwards. If you are still unsure whether these Mats will fit your car then please email us with your Chassis Number.